This Monday began quite early as I arose around 4AM to give ample time for the drive to Nashville. My plan was to participate in the Poor People’s Campaign, one of thirty held throughout the nation as a continuation of the movement inaugurated by Dr. Martin Luther King, Jr. in 1968. While that march 50 years ago did not take place until after his death, I was serving on staff at Whitehaven Methodist Church at the time. I missed several opportunities to march with Dr. King and members of the African American community protesting the plight of the sanitation workers then. In a sense this was done in remembrance and honor of several United Methodist clergy and laity who did at the time courageously stand with Dr. King and the Sanitation workers. Among them were Dr. James Lawson, Rev. 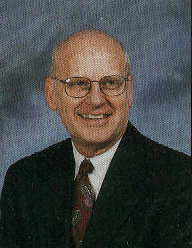 Rick Kirchoff, Rev. Frank McRae, and Preston McDaniel. Many years since, I have regretted that along with nearly all my contemporaries in the church and clergy ranks then, we declined to take those steps and stand beside our brothers and sisters who were oppressed and hurting. Now into retirement and the waning years of my life I was determined not to miss this opportunity to march. As momentum was gathering to memorialize Dr. King through re-activation of the Poor People’s Campaign, and meeting were held in Memphis this winter and spring, I decided to sign on and support the overall effort, even committing to non-violent protest to the point of being willing to be arrested. The movement through out Tennessee was ably led by Ms. Beth Foster and a cadre of clergy from diverse churches and faiths. We had our initial training April 21, at First Congregational Church in Memphis. Seasoned demonstrators who had born the consequences of arrest and harassment for public demonstrations were present and put us through the paces of non-violent resistance. We were made plainly aware of the consequences of these actions—both the power and cost of such. It was a diverse and nearly exuberant group who gathered late Monday morning at First Unitarian Church of Nashville. Leadership was almost exclusively female, a United Methodist and two Unitarian at the forefront. Those who had come were varied in age, background and motives. Two seminarians rising second year students from Duke Divinity School, several Episcopal priest both female and male, a retired Disciples of Christ who had been a marriage and family counselor who brought and wore his doctoral robe; a number of seasoned elder like myself veterans of past civil right and anti war causes, a distinct minority of African Americans male and female, and presumably several activists who don’t conform to any ready categorization. We went through a brief orientation from the protest leaders as well as legal counsel who advised on procedures and precautions for those of us committed to non-violent protest actions. As always there was singing to rouse our spirits and prepare us for singing our way through. We had lunch and concluded with a blessing ritual using oil and libations—a practice used among African Americans remembering ancestors who had paved the way for our action this day. In short order we made our way to the United Steel Workers meeting hall. These union members served as protest marshals providing all kinds of assistance and moral support. We then drove to the assembly area at Legislative Plaza down town Nashville around 2PM. A brief program followed where Poor People’s Campaign was presented as well as several related burning social justice issues locally in Nashville community. USA Network which covered the event estimated the crowd to be about 100 persons in attendance. When the meeting dismissed around 3PM we designated protestors assembled and march to the nearby street in front of the state capitol. Some two dozen of us sat and stood blocking the street and singing protest songs until about 5 o’clock. Thought surrounded by state troopers and Metro police we were not approached or warned to move as we had expected. Around 5PM the leaders decided we need take our protest to the streets. So we marched some several miles blocking traffic as we went and picking up followers along the way. One young man said he wanted to join this church. I explained we were a gathering of many churches and groups. He pointed to one of the protest leaders and said, “Well I want to join her church!” Later he met but was dissuaded from continuing when she explained he might be arrested. Finally we made our way to the James Robertson Parkway bridges which we blocked for over an hour during rush hour in both directions. Later we discovered that the Tennessee Highway Patrol had no intention of arresting any protestors so long as the Interstate was not blocked and we did not present any safety hazard or unreasonable delays. With the satisfaction that we had made our case to large number of people in Nashville as well as public officials and had been met with greater than expected positive response from standers by, we felt a degree of satisfaction and withdrew the field. As far as we knew ours was the only staged protest across the country that did not result in any arrests. A second contingent will return next Monday as well as the following four Mondays. This was my small part of an overall spiritual and social justice movement taking up growing momentum now. Mine is a very small part but an indispensable step in my spiritual pilgrimage now over 60 years in the making.